Alaska, brace yourself! Why? A shining star by the name of Milton Doyle is about to take the state by storm. Photo courtesy of Kendall Shaw and the Associated Press. Snow, turkey, and basketball. Is there anywhere better to enjoy all three than at the Great Alaska Shootout. Check out which team college basketball experts Tyler Bennett and Peyton Wesner are predicting to be hoisting the hardware later this week. It's that time of year again ladies and gentlemen! What? You don't know? It's time for Thanksgiving and early season college basketball tournaments! So with these very exciting events about tip-off, VAVEL US' own Tyler Bennett and Peyton Wesner have decided to do a special "Sizzling in the Spotlight" for the majority, if not all November tourneys, including the Great Alaska Shootout. ---23.3 PPG, 8.7 RPG, 3.3 APG, & 1.0 SPG. ---12.3 PPG, 2.7 RPG, & 1.7 APG. ---10.3 PPG & 3.3 RPG. ---16.8 PPG, 5.3 RPG, 3.0 APG, & 1.3 SPG. ---18.0 PPG & 4.5 RPG. ---23.7 PPG, 7.3 RPG, 4.2 APG, & 1.8 SPG. ---11.8 PPG, 8.0 RPG, & 1.0 SPG. ---17.0 PPG, 2.3 RPG, 2.3 APG, & 1.3 BPG. The San Jose State Spartans are a team that struggles on the offensive end, and despite their upset win over Montana, they don’t have the firepower to put points on the board in bunches. When they trail in a game, they don’t have the talent to come back and make a run for the lead. To open the Great Alaska Shootout, Toledo will get ahead early and cruise to the victory. The Loyola (IL) Ramblers have a roster that is full of talent this season, and they know what it takes to win after last year’s run to the 2015 CBI title. Led by a healthy Milton Doyle, the Ramblers are a team who could make a deep run in Alaska, Taking on a tough San Diego team, the Ramblers will need big performances from their stars to get the win. On this day, Doyle will have a season-best performance and lead them to a tight victory. No disrespect to the host Seawolves, but the Middle Tennessee Blue Raiders have the easiest match-up in the quarterfinals. Think about it, taking on a non-Division I opponent makes things a bit easier. While they’re playing on the Seawolves’ home floor, the Blue Raiders have the talent to roll over the hosts and come away with an easy victory. Expect the following to happen as Middle Tennessee advances to the semi-finals. Two teams who have struggled to open the 2015-16 season are Drexel and UNC Asheville. On Thursday, they will both have a chance to get back on track and make a statement with a win. Drexel hasn’t adjusted well to life without star Damion Lee, who transferred to Louisville, and the struggles will continue in Alaska. Despite losing Andrew Rowsey and others, the Bulldogs will do enough to steal a win from the Dragons. In the Great Alaska Shootout, you’d be hard-pressed to make a case for a better championship match than Middle Tennessee and Loyola (IL). Arguably, they are the top two teams in the field, and are on a collision course for the finals. The game will showcase the talents of Giddy Potts for the Blue Raiders and Milton Doyle for the Ramblers, among plenty of other underrated talents. In a bit of an ‘upset’, the Blue Raiders will come away with the tournament title. In an absolute nightmare of a season, Dave Wojcik's San Jose State Spartans won only two games last year (both against Non-Division I opponents). "Wow, that's awful!" Yes, yes it is! Nevertheless, the Spartans have improved as they have already won one game and it was against a Division I team (Montana)! Unfortunately for San Jose State, tonight's matchup against Toledo will not land in the win column. The Rockets, who are seeking revenge in this year's tournament on Loyola (IL), have a very good team captained by "star senior" Nathan Boothe and junior Jonathan Williams. Honestly, if Boothe and Williams were the only starters to play this evening, Toledo would have no trouble putting away San Jose State. Yet, that will not be the case as Stuckey Mosley, Jaelan Sanford, and Nate Navigato provide a strong supporting cast that makes Toledo hard for any mid-major to defeat. "Stay classy San Diego." 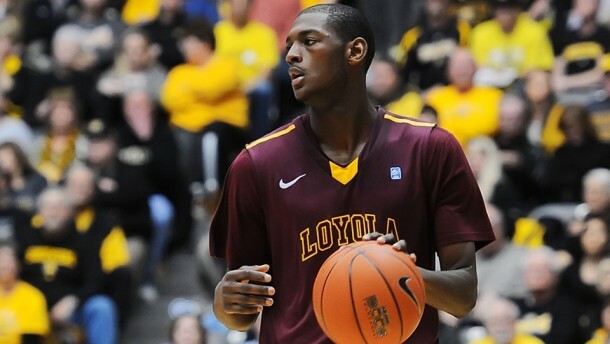 With the graduation of senior Johnny Dee (17.0 PPG), the San Diego Toreros will be unable to trade blows with Milton Doyle's Loyola (IL) Ramblers. Doyle, who will be an MVC first teamer this season, has started off his campaign as a "jazzy junior" with three performances of 18 plus points. Add in Montel James dominating the paint and Devon Turk "tickling the twine" from outside, and the Ramblers will have no trouble mauling San Diego. Go ahead, underestimate the Seawolves! See what happens Middle Tennessee! Alaska Anchorage, the annual host of the Great Alaska Shootout, is no stranger to "upseting" those invited to the tournament, for they have a total of four contest victories in the last four years (two in 2012). Additionally, the Seawolves possess a bona fide scorer in Idaho transfer Sekou "Suki" Wiggs, who shall have an impact on tomorrow's opener. However, even with four other players posting double figure points, UAA will lose its 19th straight Great Alaska Shootout opener to the the Blue Raiders. If only Damion Lee would have stayed with Tavon Allen for one more season! Imagine the squad Drexel would have! If only UNC Asheville's Andrew Rowsey would have not transfered to Marquette! With him, the Bulldogs would be a contender in the Big South this year! Missing their leading scorers from last season, UNC Asheville and Drexel are trying to build momentum for the ever-impending conference play with their first victory against a Division I opponent. Tomorrow evening, the Dragons will fly over the Bulldogs on the shoulders of backcourt trio Tavon Allen, Rashann London, and "fab freshman" Terrell Allen (no relation) in a less competitive than the score appears matchup. Onward LU! Earlier in the calender year, the Loyola (IL) Ramblers took home the hardware from the College Basketball Invitational by sweeping Louisiana-Monroe in a best-of-three series. Needed by his team desperately, star Milton Doyle fought through a nasty ankle injury to average 12.8 points and 4.8 assists per game. What is he doing on two healthy ankles now you ask? He is shining bright as a superstar! So with that the case, there is no doubt in this journalist's mind the Ramblers will fight for an NCAA Tournament bid this season. Though, first things first, they will win the 2015 Great Alaska Shootout. With Doyle's ball handling prowess and ability to probe defenses, he creates so many opportunites for his offense; whether he is scoring the basketball in the lane or as facilitating to shooters like Devon Turk. Moreover, the homegrown product is a very good shooter who can make defenders pay on the perimeter or as they are recovering from help defense. Let this stat tell the story: he drained 6 three pointers to lead Loyola back from an 18 point Toledo lead on Saturday! Six! While the Rockets shall give the Ramblers their toughest test, for they are a better offensive team, there are no teams that can go toe-to-toe with Doyle, Montel James, Devon Turk, and Earl Peterson in the bottom half of the bracket. Two championships in eight months, huh? Not bad for the Ramblers.